Norman DeValois Dicks (born December 16, 1940) is the former U.S. Representative for Washington's 6th congressional district, serving between 1977 and 2013. He is a member of the Democratic Party. His district was located in the northwestern corner of the state, and includes most of Tacoma. Norman Dicks retired at the end of the 112th Congress. He currently serves as Senior Policy Advisor at the law and public policy firm Van Ness Feldman LLP. He is the longest-serving member ever of the United States House of Representatives from the state of Washington. Norm Dicks was born and raised in Bremerton, Washington. His family attended Our Saviour's Lutheran Church in Bremerton, and he was confirmed there as a teenager. He attended the University of Washington, where he was a linebacker on the Huskies football team and pledged Sigma Nu Fraternity. He earned a B.A. and a J.D. degree there. After college, he became legislative and administrative assistant to long-serving U.S. Senator Warren G. Magnuson of Washington. In 1976, incumbent Democrat U.S. Representative Floyd Hicks decided to retire to run for a Washington State Supreme Court seat. Dicks qualified for the general election via the blanket primary and won the general election with 74% of the vote against Republican nominee Rob Reynolds. He won re-election 17 more times and only got less than 58% of the vote in a November general election once (1980). That year, he defeated Republican nominee Jim Beaver 54% to 46%, the lowest winning percentage and margin of victory in his career. His second lowest general election winning percentage is 58%, in 1994 and 2010 (both years when Republicans took back the majority). Congressman Norm Dicks and Major General Howard S. McGee tour Camp Murray, Washington in 1975. Elected to the House in 1976, he won a coveted seat on the House Appropriations Committee in his first term. He became a "powerful . . . senior Democrat" on that committee. He also served for 8 years on the House Intelligence Committee. On March 28, 1981, Norm Dicks attended the christening of the USS Bremerton (SSN 698) along with Washington State Senator Henry M. Jackson. On October 10, 2002, Norm Dicks was among the 81 House Democrats who voted in favor of authorizing the invasion of Iraq but later changed his position and supports an end to the war. With Boeing a major employer in Washington, Dicks has also supported the acquisition of military aircraft on the Defense Appropriations Subcommittee. 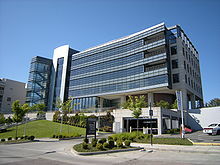 On October 22, 2004, Dicks cut the ribbon during the dedication ceremony for the Norm Dicks Government Center in Bremerton, Washington. On June 9, 2007, he presented the 132nd commencement speech at the University of Washington. Recently, Congressman Dicks was given the 2008 Ansel Adams Conservation Award by The Wilderness Society, and in 2010, Congressman Dicks was the first recipient of Washington non-profit Long Live the King's annual Lifetime Achievement Award in Salmon Conservation. In June 2007, Dicks expressed support for a House of Representatives bill that would increase funding for environmental protection, national parks and conservation by approximately $1.2 billion. In support of the bill, he said "The Bush administration has cut the Interior Department budget over the last six to seven years by 16 percent..."It has cut EPA by 29 percent. It has cut the Forest Service by 35 percent. It has devastated these agencies...We are trying to turn the corner, to bring these agencies back". In 2008 the U.S. Navy Memorial Foundation awarded Congressman Dicks its Naval Heritage Award for his support of the U S Navy and military during his terms in Congress on the Appropriations Committee. On May 8, 2008, Norm Dicks voted yes on H.R. 4279: Prioritizing Resources and Organization for Intellectual Property Act of 2007, sometimes called the PRO-IP Act. The PRO-IP Act increases both civil and criminal penalties for trademark and copyright infringement. It has created a new executive branch office, the Office of the United States Intellectual Property Enforcement Representative (USIPER). In addition to fines, preliminary punishments involve the seizing of unlicensed copies and the devices on which the copies are stored. On June 20, 2008, Representative Dicks voted yes on the controversial FISA Amendments Act of 2008. The bill would provide immunity for AT&T, Verizon Communications and other U.S. telecommunications companies against 40 lawsuits alleging that they violated customers' privacy rights by helping the government's NSA electronic surveillance program conduct a warrantless spying program after the September 11th attacks. Require FISA court permission to wiretap Americans who are overseas. Prohibit targeting a foreigner to secretly eavesdrop on an American's calls or e-mails without court approval. Allow the FISA court 30 days to review existing but expiring surveillance orders before renewing them. Allow eavesdropping in emergencies without court approval, provided the government files required papers within a week. Prohibit the government from invoking war powers or other authorities to supersede surveillance rules in the future. US Congressman Norm Dicks greets a US Army Soldier from Washington's 6th District at Camp Arifjan, Kuwait in 2010. As ranking member of the full committee, Rep. Dicks may sit as an ex officio member of all subcommittees. When deciding to retire from Congress in 2012, Dicks said his biggest regret was voting for the Iraq War. "I'm still glad Saddam Hussein is not there, but I feel we were misled, not intentionally misled, but we were not given accurate information, and if we had known Saddam Hussein did not have weapons of mass destruction, I don't think Congress would even have been asked to vote on that." In 2013, the former congressman joined the board of the Seattle non-profit Long Live the Kings as an Ambassador to a new U.S./Canada partnership, the Salish Sea Marine Survival project, stating that: "Efforts like the joint US/Canada Salish Sea Marine Survival Project promise to fundamentally change our knowledge about salmon and steelhead in saltwater; filling a crucial information-gap that has inhibited the progress of recovery." In 2014, Dicks was elected to the Board of Directors of the National Bureau of Asian Research. ^ "Metro Lutheran - 112th Congress opens with new and returning Lutheran representation". ^ Dicks, Norm (March 2, 2012). "U.S. Rep. Norm Dicks will not seek Re-Election". Archived from the original on March 4, 2012. Retrieved March 2, 2012. ^ "Our Campaigns - WA District 06 Race - Nov 02, 1976". ^ "Our Campaigns - Candidate - Norm Dicks". ^ "Our Campaigns - WA District 6 Race - Nov 04, 1980". ^ Turnbull, Lornet (June 10, 2007). "At UW graduation, the best and brightest (and wettest) jeer congressman". The Seattle Times. ^ "Dicks gets greenie award". Strange Bedfellows -- Politics News. ^ "Congress' copyright reform: seize computers, boost penalties, spend money". Ars Technica. ^ Kane, Paul (2008-06-21). "House Passes Spy Bill; Senate Expected to Follow". Washington Post. ^ Hess, Pamela (2008-06-20). "House immunizes telecoms from lawsuits". Associated Press. ^ "Norm D. Dicks - Senior Policy Advisor, Van Ness Feldman, LLP; Former United States Congressman - The National Bureau of Asian Research". ^ "Office of the House Clerk – Electoral Statistics". Clerk of the United States House of Representatives. Wikimedia Commons has media related to Norman Dicks.